Click here for Visa & Health Information! Antigua and Barbuda, Argentina, Aruba, Barbados, Belize, Bonaire, Brazil, Chile, Curacao, Dominica, Gambia, Guyana, Grenada, Hong Kong, Israel, Jamaica, Japan, Malaysia, Netherlands Antilles, Phillippines, Saba, Singapore, South Korea, St. Eustacius, St. Kitts & Nevis, St. Maarten, St. Vincent and the Grenadines, St.Christopher, St.Lucia, Trinidad and Tobago. Please consult the following website for a list of countries that qualify to obtain a Tourist Card! Can purchase a tourist card for US$40 or EUR €35 (Updated per March 15th, 2018) at an Embassy/Consulate or at the JAP International Airport. 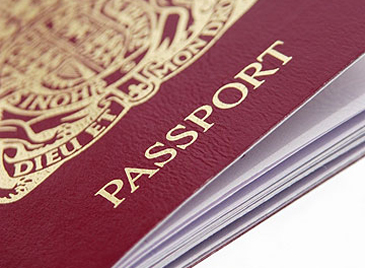 All other nationalities will need to apply in advance for a visa at the nearest Embassy or Consulate. The Airport is not responsible for the accuracy of the information posted here! If in doubt, please contact the nearest Suriname Embassy or Consulate for information. The JAP Airport is proud to announce that Copa Airlines will start serving the PTY (Panama) – PBM (Suriname) route with a 2x weekly Non-Stop service on Wed & Sat effective July 6th, 2019. See the Copa Airlines press release for more information. Tickets are available for booking!